Randzee (Verkijika St. Paul Randzee) was born on the 13/11/1984 in a small town called Kumbo in the North West province of Cameroon. He grew up as a very talented young artist skilled in pencil drawing and painting. While at secondary school, Randzee also fell in love with music. He started up by dancing and interpreting songs of popular artists like Sisqo, Nelly and DMX at the concerts in his neighborhood. Later on, Randzee and two other friends formed their first band called the Double Doggy Jays. The band gained popularity on campus and in town. A year after the band had increased to 5persons. Though Randzee was never the formal leader of the band; he was the one who wrote most of the song did the lead singing and rapping. Unfortunately for Randzee, all the other members of his band changed their towns and therefore school while moving to high school. Left alone, Randzee decided to seek comfort by taking on a solo career with the name Big PG. He clearly defined himself as a rapper with influences from DMX first, then Ja Rule and finally 2pac. Stepping out of high school Randzee exercised another change of name from BIG PG to Rasputeen. 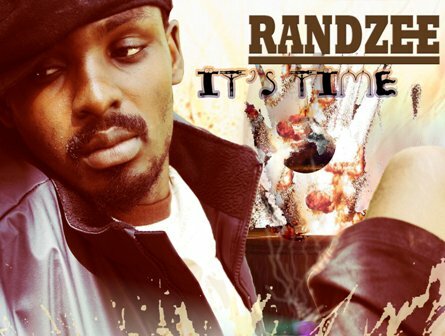 Randzee developed a very strong lyrical ability and charisma that touched people everywhere he went. 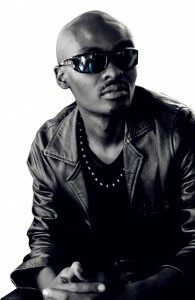 At university Randzee came in contact with the music producer Njoya Armel. Armel was also an R&B singer and a personal friend to Randzee. Armel would do the beats on a PRS 400 piano he had by then and Randzee would do the rapping while Armel comes in some of the choruses. Randzee at university won the FM 94 second best rapper of the year 2006 and also performed at the school concerts and attended television and radio programs that made gradually popular. While still at university Randzee decided to set up a record label he called the afro-entertainment. He was the CEO of his label as young at 20.While at university Randzee also got in contact with a female R$B singer known as Marie Noel. The label of three grew up with a lot of compositions and recordings (Mostly demos but then) After university, Randzee known as Rasputeen still, moved his record label from the campus area of Sao to Damas in Yaoundé town. The label on the 12 of august 2007 released Randzee’s debut album titled ‘Turn a Page’. The album only featured members of his label Armel and Marie Noel. Though some fans are still of the oppinion that this is the best album from Randzee, his label decided to withdraw the album latter from the market for undisclosed reasons. The record label continued functioning by recording tracks for young artists in the neighborhood of TAM-TAM Week end, Mendong. Due to financial and other related problems, the record label collapsed in december2009. With this and a couple of other problems Randzee had at that moment, the young artist felt into nervous breakdown. He watched his own dreams crumble in his own eyes and life turning the other way round. Like it has always been that life is full of ups and downs the artist after surviving this depression decided to make another change of name from Rasputeen to Randzee the third of his real names. 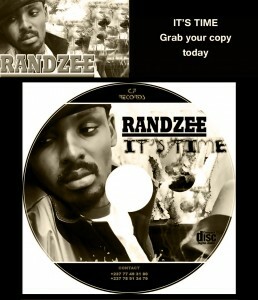 Coming up with a new release “Its time” the artist is determined to make it worldwide now. Quote “I found my way to the top at the bottom so I know all the stone spots at this bottom” That says all, the thriving artist has come a long way and is going a long way. Will determination, flexibility knowledge and experience, “the five-star general in music” has found his identity and vision in music and now goes on to represent his continent Africa on the world wide space unstoppable. His new album is produced by one of cameroon’s great young producers, Nyambi Edwin. The album features Adel Clarise from the group Baam, Salatiel of Thathril and Nyambi himself.Randzee, has through his carear made master pieces and every single track of his carries alot of message and energy. He is an up coming world icon.